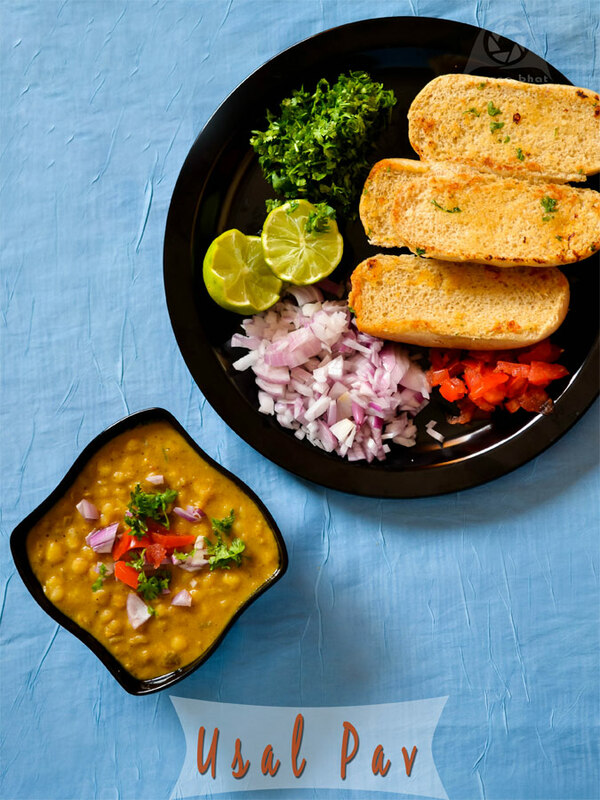 Usal pav is a traditional Maharashtrian breakfast/ snack dish, a legume based gravy served with pav. 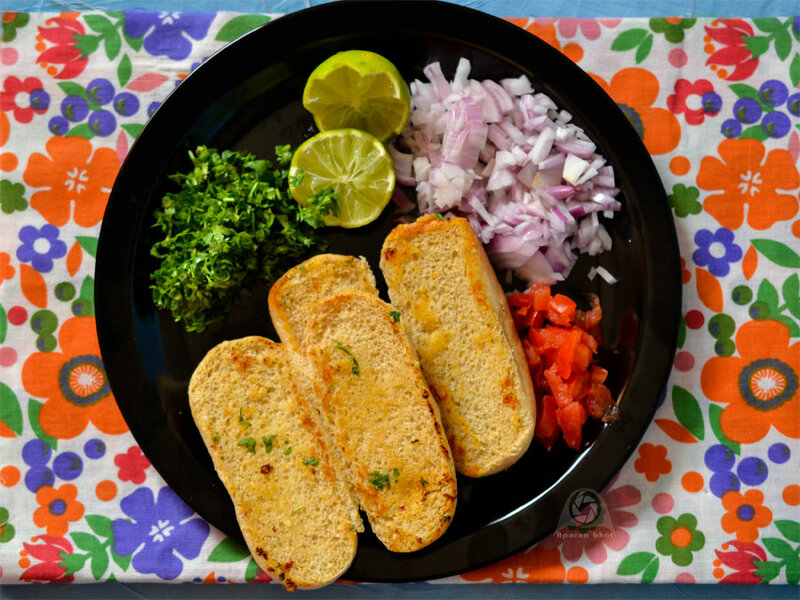 Although simple and straightforward recipe, it is very popular as yet another street food along with misal pav, so don't miss any opportunity to eat it when you are in Maharashtra. This was the best food I could think of eating from the canteen in my break before I head to the library after college hours study time. Back home amma used to make this concoction from different beans and legumes but the favourite of mine till date has been Mataki/Moth bean. She would go easy on spices, flavor it with goda masala and add little jaggery which I used to relish with garam garam phulkas. I have always followed amma's recipe to prepare this dish, but this time when I ran out of stock with ready to use goda masala [I usually get it from Mumbai] I decided to try the recipe from Koushi Bhatia's book "Favourite dishes of India". This recipe uses freshly ground masala paste to make it, an alternative option instead of ready to use masala powders. The preparation took a little more time as it involved frying and grinding the ingredients, but the final dish was fingerlickingly good. If you want it really hot and spicy you may add more chillies. Wash and soak white peas overnight in water. Add salt and pressure cook till soft [ a whistle and cook on a low flame for about 5 mins]. Switch off the flame and keep it aside. Next to prepare gravy, heat oil in a pan. Fry all ingredients - coriander seeds, cloves, cardamoms, peppercorns, red chillies, cinnamon, fry it together for 2-3 mins. Drain and keep aside. Next fry coconut till brown. Keep it aside. Fry onions till brown. Allow these ingredients to cool down. Grind all these ingredients including chopped tomatoes into smooth paste adding water as required. Set is aside. Now heat 2 tbsp oil. Add bay leaf and finely chopped onions. Fry it till onions turn golden brown. Add finely chopped garlic and ginger and fry it for 1 min. Now add ground masala paste and stir fry it for a minute. Add turmeric powder, red chilli powder [optional if you prefer it to be more spicy], tamarind extract, boiled white peas, salt [plz remember to hold your hands as you have already added while boiling the peas]. Cook it uncovered on medium flame. Adjust the consistency of gravy by adding water if required and bring it to a boil. Sprinkle the garam masala powder. Stir in once and switch off the flame. Serve it hot with accompaniments. Would love to invite myself to ur place, wat a nutritious and highly protein packed usal pav. Lovely clicks and tempting looking usal pav. 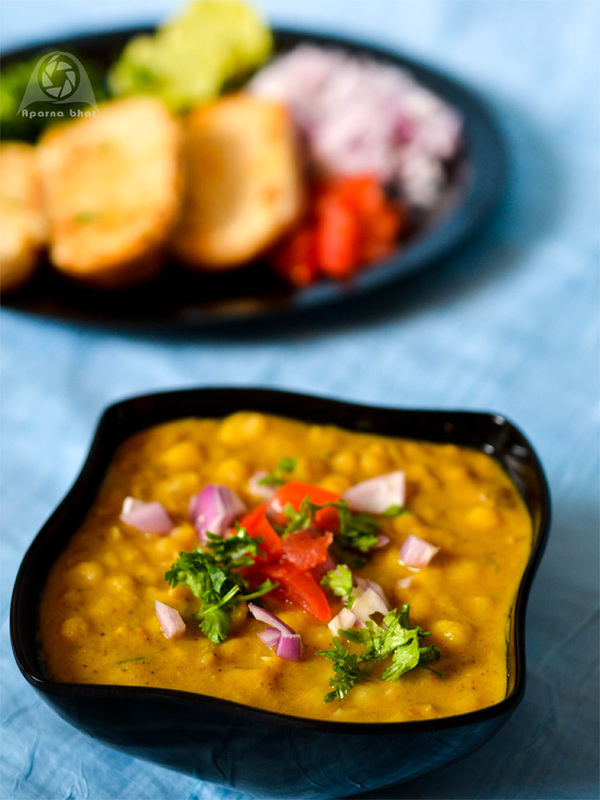 Fantastic pictures, really so droolworthy!..Usal Pav is one chat I am yet to make..somehow the yellow dried peas doesn't blend to myself when being cooked..however your pictures really want me to reach out..good one.. Hopped over to your blog from Priya akka's space, you have a beautiful blog out here.